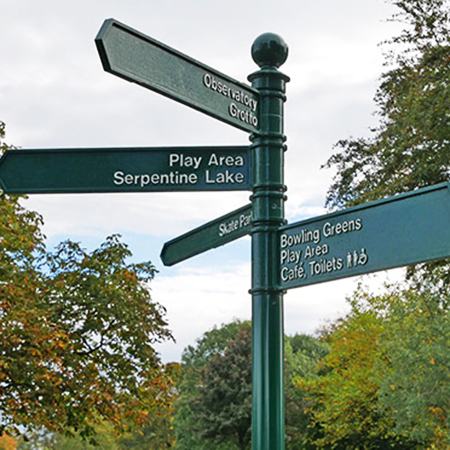 Furnitubes have installed 12 new fingerpost signs at Moor Park in Preston, which features an observatory, woodland and wildlife areas and a sports provision, all linked by a network of paths and roadways. 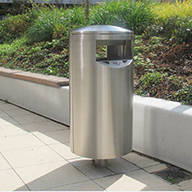 The Zenith columns feature traditional arrow-ended directional arms which are mounted and cast in aluminium with raised lettering, highlighted by hand. 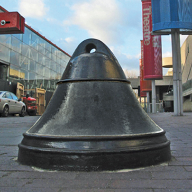 The posts are also capped with a simple ball finial.